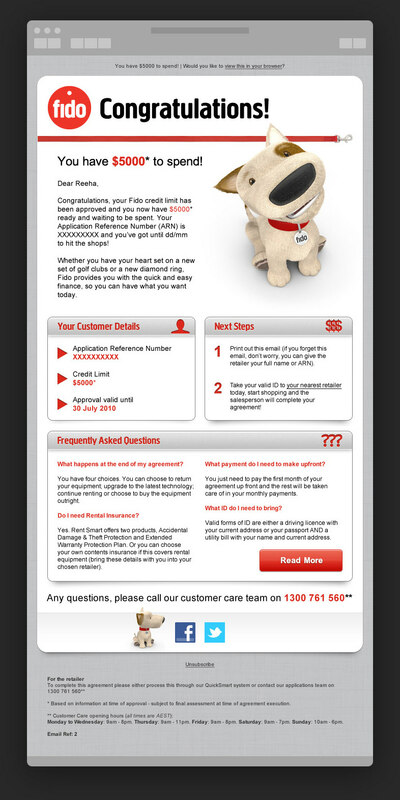 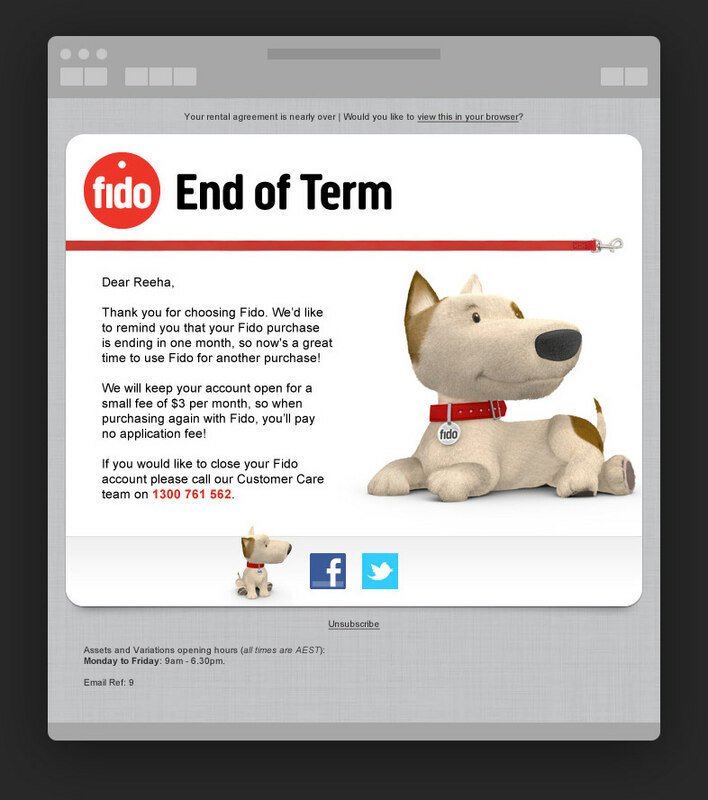 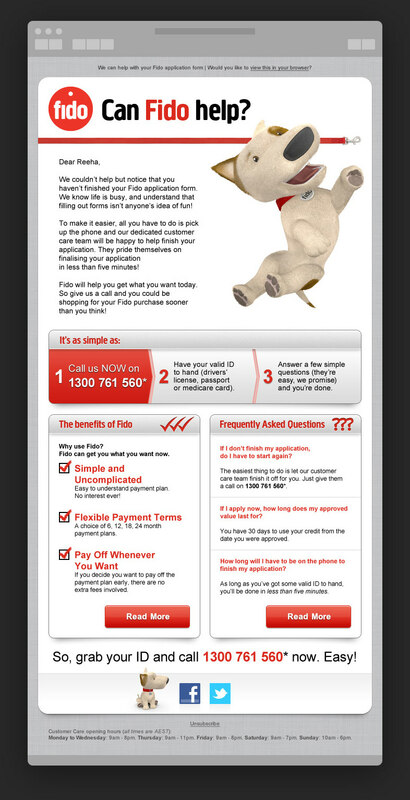 A series of emails for Fido, a rent-to-buy provider. 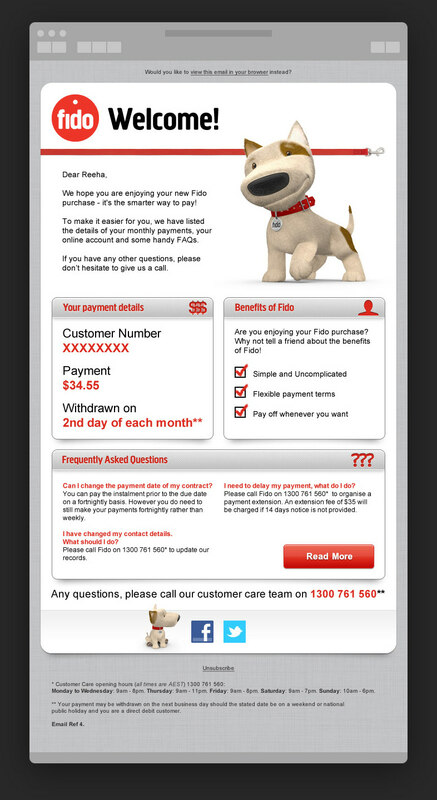 Customers were encouraged to sign up, and then sent a different set of emails depending on their behaviour. 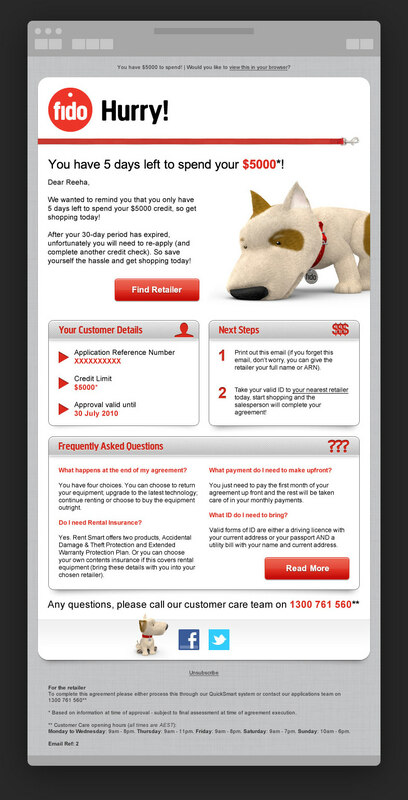 Users who hadn't spent all their credit were reminded that they still had pre-approved shopping to be done!